FxPro is one of those Forex brokers towards which you will never feel sceptical. As one of the veterans of brokerage, FxPro offers one of the best services currently available, with a massive arsenal of products and stunning trading conditions. Keep on reading our FxPro review to discover more! One of the most recognized brokers in the world. Awesome conditions and great platform! Best choice before, not so good now. FxPro – what can we learn about this company? FxPro is quite an experienced player in the currency trading market. Its history starts from the year 2006. Its primary focus is on FX trading, although each client is provided with the choice of other financial instruments such as CFDs, Commodities, Indices and Futures. Additionally, all clients’ funds are deposited in segregated accounts at global banks such as RBS, Barclays PLC, Credit Suisse AG and so on. FxPro UK Limited is authorised and regulated by the Financial Conduct Authority or FCA, with the registration number – 509956. In addition, FxPro Financial Services Limited is authorised and regulated by the Cyprus Securities and Exchange Commission or CySEC with the license number – 078/07. Furthermore, FxPro is licensed by MiFID. As FxPro activity is approved by these respectable regulators, this ensures us that this broker can be trusted. Since 2006, FxPro became quite widespread across the world delivering their services in more than 120 countries non-stop. Therefore, you can easily find offices of FxPro in many countries such as United Kingdom, Russia, France, Austria, Greece and France as well. Unfortunately, they do not accept US clients. Additional positive fact is that FxPro is an ECN/STP broker. 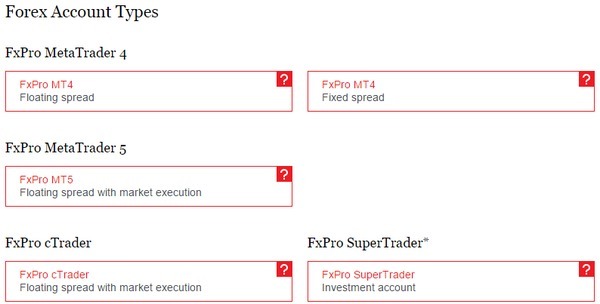 In order to start trading with FxPro you need to create an FxPro Direct profile. Trading with FxPro is simple as you are not confused with a big number of account packages. Instead, you are offered one account available for various trading platforms like MT4, MT5, cTrader. FxPro offers its VIP services to selected high net worth clients. Hence, their VIP clients can benefit from no Deposit Fees, free VPS service, trade recommendations, margin level alerts via email and SMS. Exclusive news reports are granted too. In addition, FxPro introduces dedicated managers to VIP account owners. Another interesting account type is PAAM. It is perfect for professional traders who manage multiple accounts for other traders. With FxPro you can improve your account management business significantly. You can also use demo account to practise with virtual funds and improve your trading skills. We have already mentioned that FxPro empowers its trading accounts with different trading platforms. Next comes the successor of the popular trading platform – MetaTrader 5. It is not worse than MT4 and in some cases even better. With FxPro customized MT5 you will be able to make use of new features such as tick chart trading, added timeframes, indicators and drawing tools. Moreover, with MT5 you can buy stop/sell stop limit orders. cTrader can also be a good choice, as it is an ECN platform. Here you can enjoy spreads from 0 pips on major pairs, no requotes, full market depth and many other features. There is one unique trading platform called SuperTrader. Basically, it is a fully automated investment platform that permits you to copy risk-tested Forex trading strategies of leading providers and profit from that. Furthermore, there are no commissions for in-house strategies. You gain full access to historical statistics. In addition, there is a free credit line from FxPro, allowing traders to add up to 4 times their investment to their initial deposit amount. FxPro broker has developed quite convenient fund management with a great variety of methods available. Choose among bank transfers, credit/debit cards and different electronic payment systems. 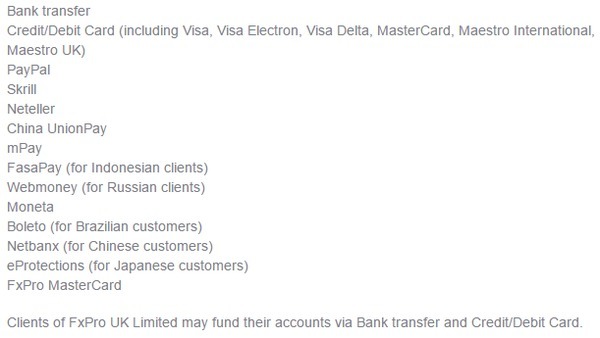 You can check out all payment methods below. It is important to admit that FxPro has a minimum first deposit requirement of $100 or any equivalent in other currencies such as EUR, CHF, GBP or JPY. Normally, all deposit requests take no more than 10 minutes to be processed. As for the withdrawals, they are made in the same way as the deposits. It takes from 3-5 working days for bank transfers, 3-7 working days for debit/credit cards, NetBanx, mPay to process the withdrawal requests. In all other cases it takes only 1 working day. There are some fees charged for deposits and withdrawals. You can check them at the broker’s website. FxPro has a very proficient and active client support. Customer support agents are permanently available to solve any of your problems. Their client support is multilingual – they speak English, Arabic, Chinese, Greek, German, Polish, Portuguese, Spanish and Vietnamese. You can contact customer support via live chat, telephone and email. Our overall impression about FxPro Forex broker is very positive. It is definitely a credible broker that has something unique to offer traders. It has a wide range of financial instruments available powered by top-notch trading platforms that can meet needs of all kinds of clients. Considerable amount of experience doubled with amazing technologies, professional customer support and diverse payment methods are exactly those features that characterize FxPro. Both beginners and advanced traders will enjoy trading process at it. Hence, this broker is highly recommended. Update: after recent check of terms and conditions offered by FxPro, we have to suggest that you should trade with another broker. FxPro is definitely not a scam, but conditions offered are not as good as at other Forex brokers. FxPro review	Overall rating:	2	out of 5 based on 1	reviews. This broker has very fast execution and low spread and commissions. Also, there are no strong slippages. Generally speaking, this broker provides the good trading environment. I got ripped off by a scam broker not long ago, I had to hire a refund professional to get my funds back. I’m glad this over for me. The company is regulated in the U.K. and also registered in Cyprus and Dubai. This means that fxpro is quite large, well-known and reliable. 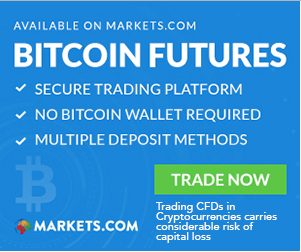 And they offer comprehensive access to the Forex, shares, indices, metals and commodity markets and cryptocurrencies. I satisfied with my trading here. I’ve been trading with fxpro for more than a year and haven’t faced any serious issues. Conditions are quite good, but nothing outstanding. The main benefit is their reliability, they provide good execution and I never had delays with my withdrawals. Client support is also good. Imho, this broker without significant deficiencies. Completely satisfies my needs. 100% correct and current info about FxPro. So far I really satisfied with this broker. I chose it 3 years ago and I didn’t have any problems neither with withdrawals nor trading process. Everything works properly! Normal broker. I personally satisfied with fxpro. They do not interfere with trading – this is the most important thing for me. Trading conditions are competitive: a lot of trading instruments and quite tight spread. Sehr bequeme Bedingungen für den Handel. FxPro hat viele Vorteile für mich: Regulierung durch die FCA, sofortige Abhebungen, enge Spreads, schnelle Auftragsausführung, bequeme Plattform, angemessene Ersteinzahlung, hilfreicher Support, tiefgreifende Analysen, negativer Einzahlungsschutz. Im Moment arbeite ich sehr gerne mit diesem Broker und sehe keine Alternative zu ihnen. Ich habe gerade ein Live-Konto beim fxpro eröffnet. Ich benutze diesen Broker seit ungefähr 2,5 Monaten auf einem Demo-Account und es ist die beste Demo, die ich je benutzt habe. Sehr praktische Benutzeroberfläche mit vielen Tools und schneller Ausführung. Außerdem mag ich die Qualität der Kundenbetreuung. Sehr freundlich und professionell. Ich hoffe, mein Live-Trading wird auch erfolgreich sein. I would certainly recommend Fxpro. It is trustworthy company with transparent conditions. I have never had problems with the platform, withdrawals or someone else. They did not disappoint me. I decided to start trading with Fxpro thanks to a friend’s advice and I don’t regret it. It is regulated broker with good customer service and fast platform. Easy withdrawals. Generally excellent services. Recommended for professional traders and beginners. In general, the company so far meets my expectations. The platform did not disappoint me. With good internet connection it works very stable. UI is convenient. Support is helpful and polite. Withdrawal takes 1 working day. In my opinion it is quite good broker for experienced traders. Terms of trade FXPRO provides are very convenient for me.They offer a great VPS hosting and premium technical tools for the traders. And the broker is regulated by CySec. Reputable broker with a long history of doing business. They have a lot of awards in the industry. I think that they are well-deserved. I’ve never had problems with them.